In a brief period of time, mindfulness and meditation have gone from the social fringes to the cover of Time magazine, says Susan Kaiser Greenland, a leader in teaching meditation and mindfulness to children (she’s also an author, the founder of the Inner Kids mindfulness and meditation model for schools, and a collaborator on the Stop, Breathe, & Think for Kids app). 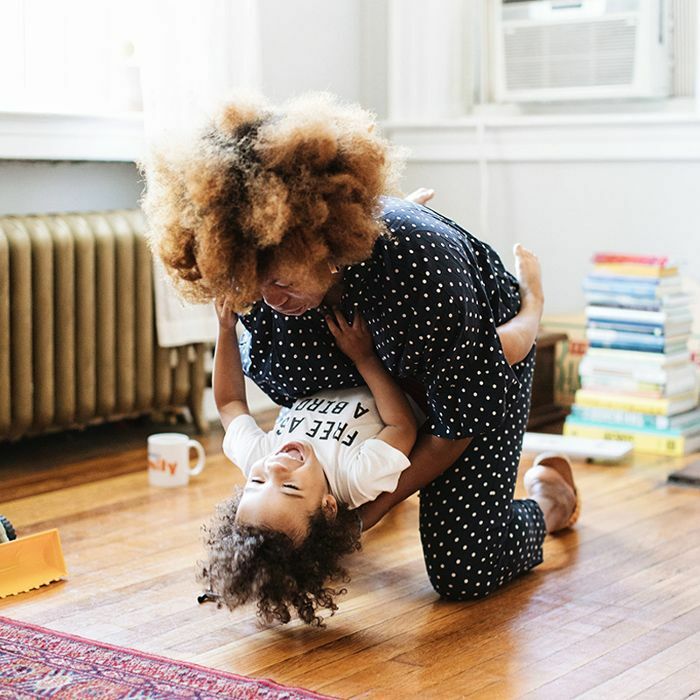 The mainstreaming of these practices has made it challenging for adults to tell mindfulness and meditation apart, so when it comes to mindfulness in kids, it’s understandingly challenging to know how to start broaching the topic with your little one. And that’s where Kaiser Greenland comes in—we asked the expert to break down what mindfulness really is, how to teach ourselves, and then how to pass the skill on to our children. There are two key skills that children receive from practicing mindfulness that are crucial to navigating life with wisdom and compassion—the first is self-soothing abilities and the second is a compassionate worldview. Children as young as 4 can start on the first aspect of mindfulness, which is when they learn to regulate their nervous system when they’re overly upset or excited. “It’s a necessary step because without these self-regulation and quieting tools, we’re not able to listen well, learn well, or view our situation with an open mind,” says Kaiser Greenland. After they grasp this ability, they’re able to develop the worldview of being open-minded, accepting, and committed to serving others without sacrificing themselves. Although Kaiser Greenland says mindfulness is often taught at school beginning at age four, she says parents can model mindfulness at home from the very beginning. “Will kids lose mindfulness? I don’t know,” she admits. “The research is still very new. But I suspect it is like other types of learning and that we’re planting seeds of mindfulness that kids will remember throughout their lifespan and apply it in a way that is meaningful to them.” Below, read on to see the difference between mindfulness and meditation, plus the four steps to teaching mindfulness to kids. Kaiser Greenland says that mindfulness and meditation are words that are often used interchangeably and that somewhat random concepts are sometimes called by one of these names. “Blogs and other popular writing tend to hype, overpromote, and oversimplify these two words to create vague and inaccurate new meanings,” she says. “I wish I could shrug off these definitional differences, but they matter—it’s important to be clear what the words ‘mindfulness’ and ‘meditation’ mean, how they are similar, and how they are different.” To start, Kaiser Greenland says that mindfulness is a way of paying attention where you know where your mind is and your state of mind in real time (it’s about keeping your mind on a chosen object and not getting lost in distraction). When you are mindful, you have a heightened awareness of the mind’s processes—like what you see, hear, taste, smell, feel, think, or intuit—and also are aware of your current state of mind (are you agitated, dull, alert, distracted, upset?). However, the expert says that mindfulness is taking on a new, more modern definition, too. “It’s a way of paying attention and of being in the world, with attention, balance, and compassion,” she says. Parents should develop their own mindfulness first, and find out which of the many practices resonate with them, says Kaiser Greenland. Classes can be helpful, but if you can’t get to a class, you can try listening to meditations online (Kaiser has some tracks from her 30-minute meditations for busy parents here). Books like Sharon Salzberg’s Real Happiness series and apps like Headspace and Stop, Breathe & Think can also be good ways to learn, she says. When it comes to how Kaiser Greenland learned mindfulness herself, she said she was going through a stressful time in her life and turned to meditation to help manage stress. “I had a very hard time meditating at first—it was rough for me to sit still,” she says. “That’s why it’s important for people to learn various methods of meditation including walking and other movement-related practices.” She said she also encourages people to connect with a number of different mindfulness teachers to see which one resonates, whether by taking classes in person or online (she has studied with numerous teachers and has learned something new from each). The second step is for parents to take aspects of mindfulness that they’ve integrated into their own lives and share them with their little one. You can teach your child the practice without having to get into the nitty-gritty. Kaiser Greenland suggests saying something like, “I’m going to take a minute to compose myself (or settle down or center myself). Do you want to do it with me?” Then take a few deliberate breaths together and say something like: “Now, let’s just stand here together for a couple of seconds and feel our breathing—in, out, in, out, in, out.” And that can be it. “Notice the word mindfulness was never used here,” she says. Talk your child through a brief body scan. Tell them to close their eyes, relax their jaw, lower their shoulders, feel their upper arms, lower their arms and hands, and soften their tummy. Then say to relax the muscles in their upper legs, lower legs, and feet. Then just stay and feel your breathing together. If you find that mindfulness with breathing is helpful to you, lead your child in a mindful breathing exercise or listen to a guided mindful breathing practice for children together, streaming from an app or website. If movement is helpful for you, take your child out in the garden or to the playground and walk with them. Prompt them to feel their feet with every step or to quietly say something they’re grateful for each time they take a step. Kaiser Greenland really likes the mindful game Thankful With Every Step. Stop at the front door every morning before leaving to drive your child to school and take a few breaths together. This allows you to chill out so everyone leaves the house calm and composed, says Kaiser Greenland. Forcing mindfulness on your child tends to be counterproductive. “If they see that mom and dad use these principles to calm down, self-regulate, self-soothe, they’ll come to it on their own,” says Kaiser Greenland. She says that both of her kids are grown but she taught each of them a little differently. In fact, neither of them took to it in their high school years, but both integrated the themes of acceptance, open-mindedness, and non-reactivity into their actions and relationships to this day. “I never pressured the kids to practice, but I did a lot of the activities I spoke about above without saying the word mindfulness,” she says. Kaiser Greenland says that when her first book came out, her son came home and said a teacher asked whether he practiced mindfulness, and he said no. But then when the teacher asked if they did specific (mindfulness) activities, he said yes and said he hadn’t realized it was mindfulness before then. The best way for kids to learn the proper way to practice mindfulness is by seeing their parents do so. “It’s all about awareness,” says Kaiser Greenland. You can learn about all the universal themes taught in mindfulness or refresh your memory here. But what about when you get worried, stressed, or anxious and just tighten up in front of your little ones? Kaiser Greenland says that we hear in meditation teachings that we need to relax our minds, open up our minds, and make room for all the thoughts and emotions and just give them space, but that instruction can be hard to do especially if you don’t have a lot of meditation experience. Now that you have a better idea of mindfulness for kids, the first step is practicing yourself. Only then will you be able to truly share the benefits of mindfulness with your little one.